GoodWorks’ mission is to help your business thrive. We get to know your business and design your system right the first time, with room to grow as you do, then we give your staff the training they need to succeed. Our financing plans make it simple to get started – Add more workstations, iPad, mobile POS, eCommerce, or multiple locations as you grow. GoodWorks has offices in Seattle, Portland, Los Angeles, and New York and serves businesses throughout the United States. We run our business on LightSpeed. Contact Us Now so we can best assist you with growing your business. 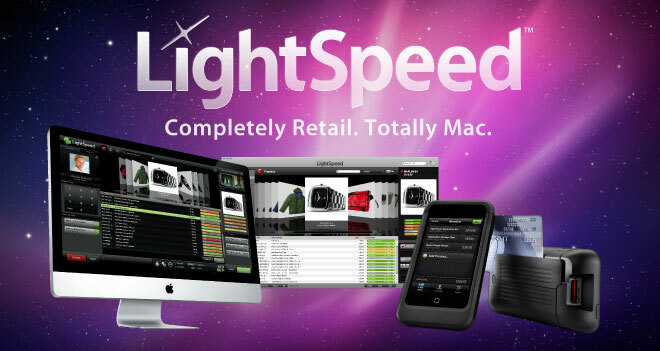 The backbone of our solutions is LightSpeed Pro, the next-generation Point-Of-Sale and Inventory platform for Mac. 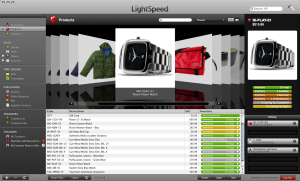 LightSpeed Pro reinvents the in-store shopping experience with a robust, fully-integrated retail system that turns Macs, iPads, and iPhones into cutting edge point of sale and retail management tools. It is multi-user, multi-store, eCommerce-ready and extensible through a developer API so that software never limits retail aspirations. 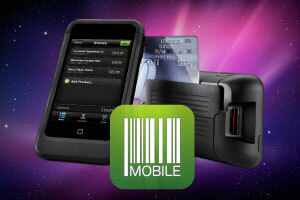 LightSpeed Pro’s intuitive POS interface streamlines the sales process. Ring up sales faster and handle returns and exchanges easily. Train new users in 30 minutes. No other POS system makes retail this easy or this powerful. See the whole picture quickly in the LightSpeed Pro StoreMaster Browser. 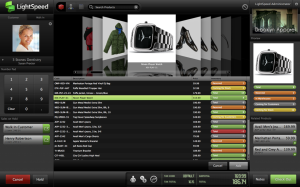 Browse your business as simply as you browse playlists in iTunes. LightSpeed Pro makes it simple to access the data you need to make better business decisions. The revolutionary LightSpeed Pro for iPhone and iPad let’s you checkout your customer anywhere on the retail floor or in the field. Bust lines with this simple, customer-focused technology. LightSpeed Pro’s eCommerce Module lets you start selling online quickly. 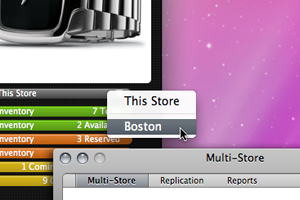 Populate your webstore from your existing store database, set special web-only prices, and start selling. LightSpeed Pro’s Multi-Store Modules offer big-box convenience for small and medium businesses with cross-store features that rival the big chains. Cross-store reporting let’s you see what’s happening company wide at a glance. LightSpeed Pro can be applied to all kinds of businesses: home design, fashion boutiques, bike shops, shoe stores, auto parts, skate shops, electronics stores, yarn stores, you name it! In fact, we run GoodWorks on LightSpeed Pro. That’s how we know! LightSpeed Pro let’s you grow your technology as your business grows. No other point of sale solution gives you this kind of power and expandability for such an attractive price. Contact us now to get started. Ease of workflow makes a big difference. Check out the exciting features of the Lightspeed Pro Dashboard. LightSpeed makes small businesses more efficient. Sales staff use LightSpeed Pro Mobile to close a sale in a bike shop. We design your system right the first time, with room to grow as you do. Good planning saves time and money so we start by asking the right questions. We’ll walk you through the nitty-gritty: equipment selection, networking, backup, credit card processing, etc. to design a comprehensive system tailored to your needs. We properly configure your system and test it before it goes live, making sure that your product categories make sense and all of your hardware will work seamlessly, right out of the box. Our optional Data Import and Migration service handles every aspect of your setup and product entry, making sure your data conforms to the highest data quality standards for search and management. We can migrate your current system to LightSpeed, whether you have 100 products or 100,000. We offer onsite and shared-screen training so you can make the most of your system. All of our staff are LightSpeed Certified and receive regular trainings and certifications, so we’re always up to date on the latest features and shortcuts. GoodWorks can provide customized training including screencasts and reference documentation to ensure all your employees follow consistent workflows. If you ever have a question, help is right here. GoodWorks provides continuing support on demand by phone, share-screen, or onsite billed in 6 minute increments. Whether it’s just a simple question about how something works or a long story problem with trains and apples and whatnot, we’ll get you the answers you need quickly. We’re not really “computer people”. GoodWorks helped us decide where to start and then handled our technology setup so we could focus on opening our doors. The day we opened, we had 2000+ products in our system and over 100 customers walked through the door. We started with a single workstation but after 3 months, we added a second admin workstation for our backoffice and a Mobile POS for the floor. Not only does GoodWorks understand the unique business needs of the fabric industry, but they tailor their approach to ensure that our needs as a fabric store are met. That has made a big difference for us. LightSpeed has made operating our business much more fluid and streamlined than I ever imagined it would. It was very important that things worked together seamlessly and GoodWorks has delivered that and more with their prompt service. Our expectations have been surpassed at every turn! When we purchased the Lightpseed POS and webstore, we didn’t know resellers existed. We spent over a year going-it-alone, beating our heads against the wall (literally and figuratively) trying to make our system work properly. If only we had known about GoodWorks! They are a rare breed, combining calm, personality, and tech savvy. Since hiring GoodWorks, our Lightspeed system is working better than ever, but beyond that, I now feel like I have someone to call, who knows our business, when we have a problem. I can’t say enough about my experience with GoodWorks. Goodworks did so much more than sell us a point of sale system. They looked at what we needed and wanted and provided us with not only the equipment and the installation, but training and support specific to our situation. Our customers appreciate that we chose a Mac based system and love our Mobile POS. As soon as they see it, they know that we want their shopping experience to be easy. When we ask to email them a receipt, they’re pretty impressed. Frankly, we’re pretty impressed, too. GoodWorks has offices in Seattle, Portland, New York, and Los Angeles. GoodWorks serves businesses all throughout the United States from Main Street to Madison Avenue. We are a Certified LightSpeed Solutions Provider. Please contact us so we can start helping you grow your business. Easy financing plans available to help you get the equipment your business needs without big, upfront costs. Contact us to find out more. © 2019 GoodWorks – iPad Point of Sale Experts All Rights Reserved.